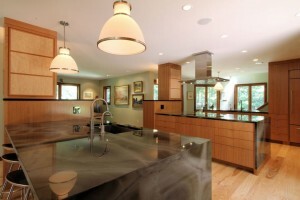 This kitchen update was the second project we had completed for these clients in the Springmill area of Indianapolis. 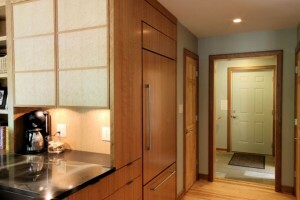 We had won several awards for their master bath renovation and the kitchen was next on the list to be updated. 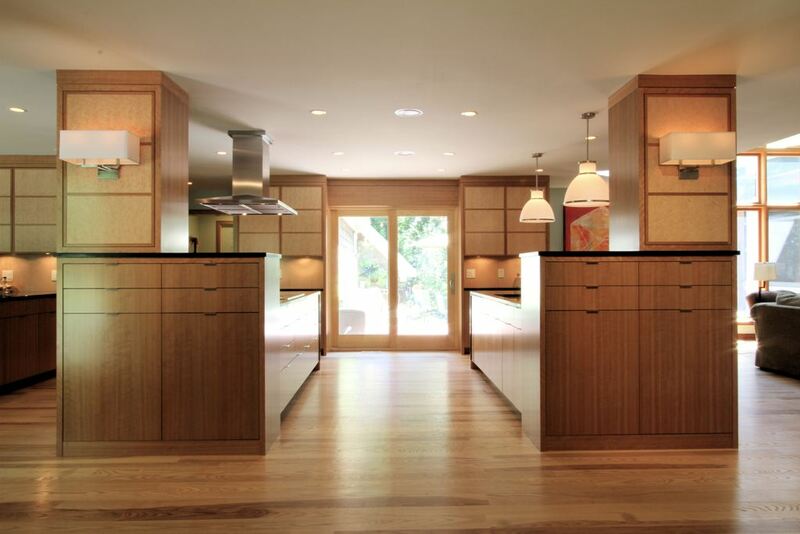 Designer Matt Harris created a kitchen concept for the project featuring three large peninsulas and a floor plan that opened the kitchen to the adjacent dining room, side entry, and living room. 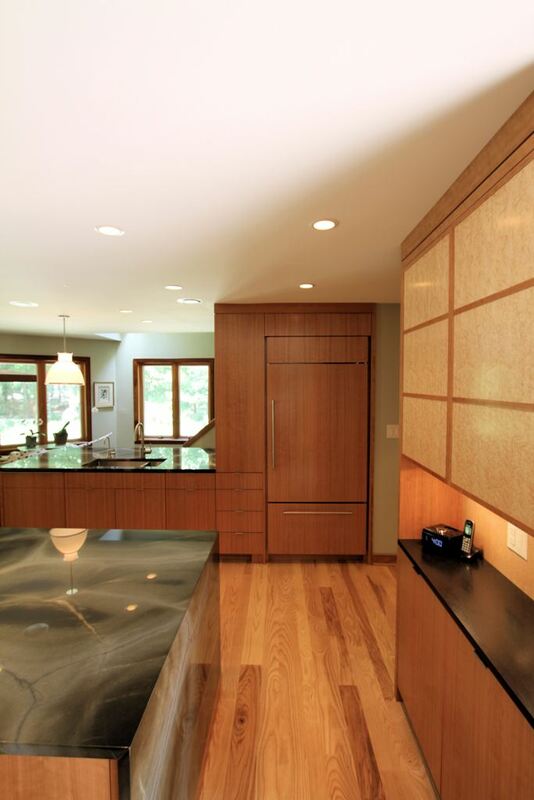 To accomplish this required the replacement of several structural walls with concealed beams and the installation of two support columns hidden inside floor to ceiling cabinet elements. 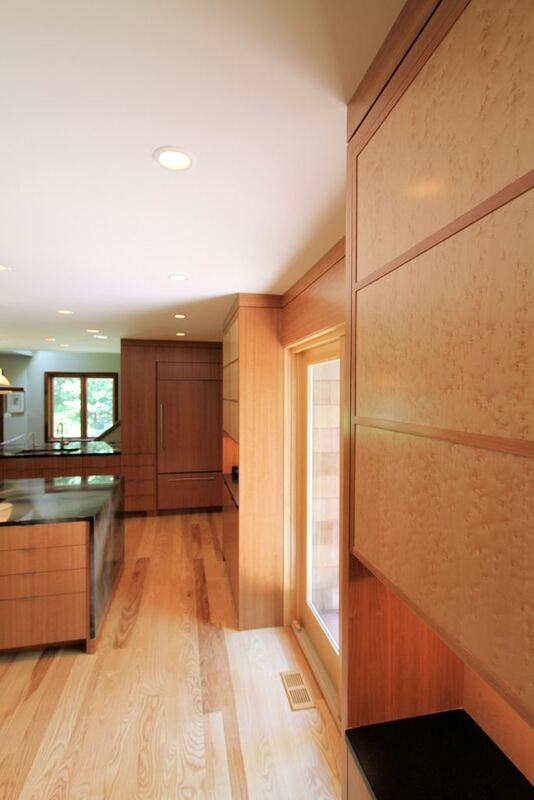 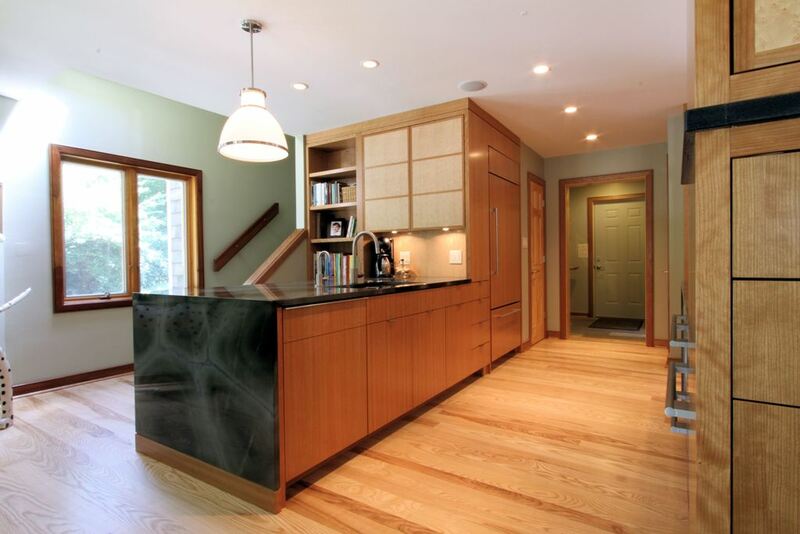 The finishes were chosen to blend with other materials in the house and include quarter sawn cherry and birdseye maple cabinetry and a natural ash hardwood floor. 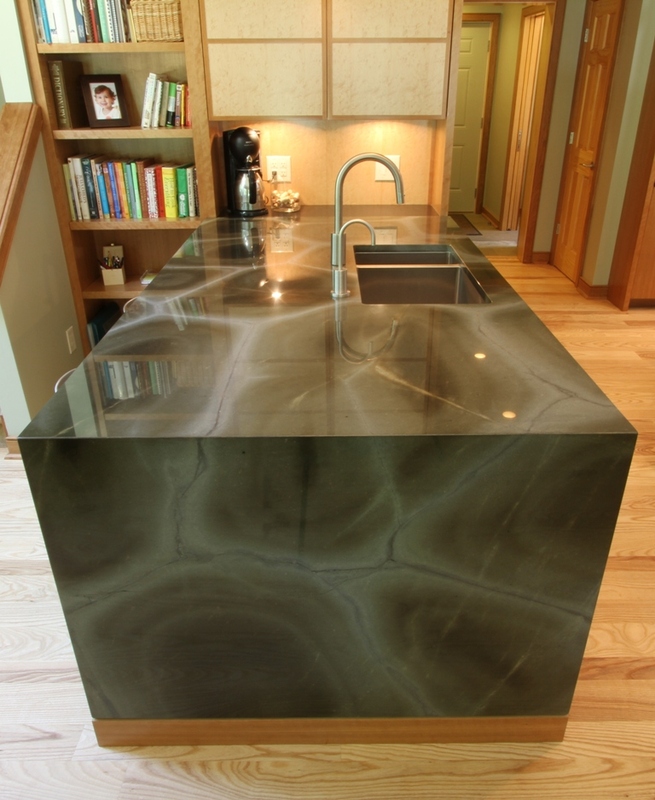 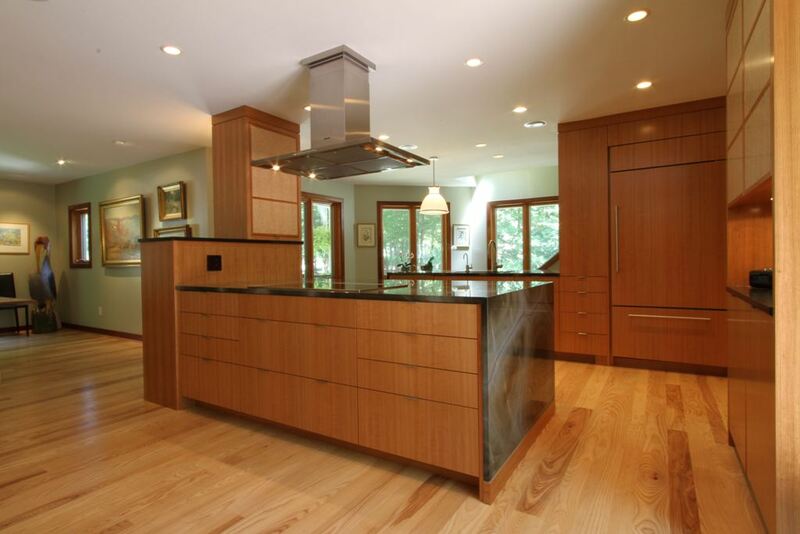 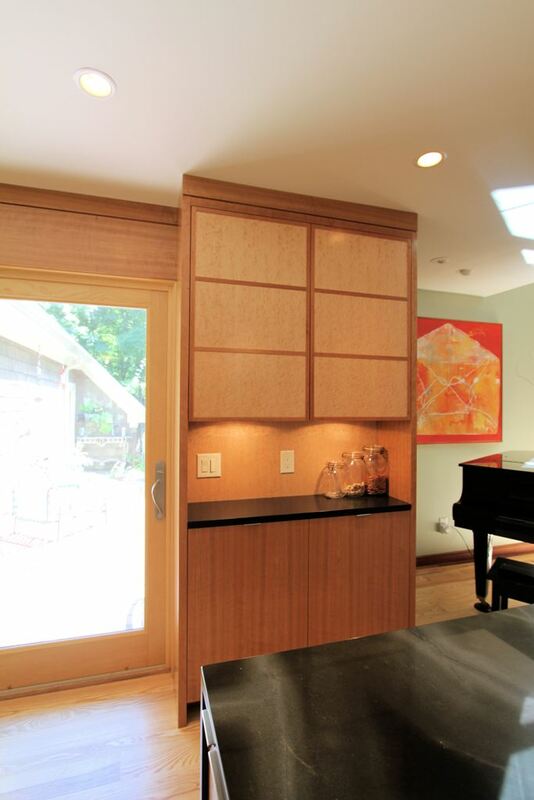 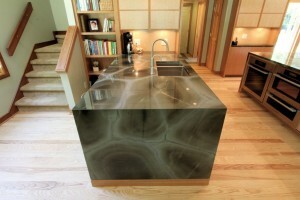 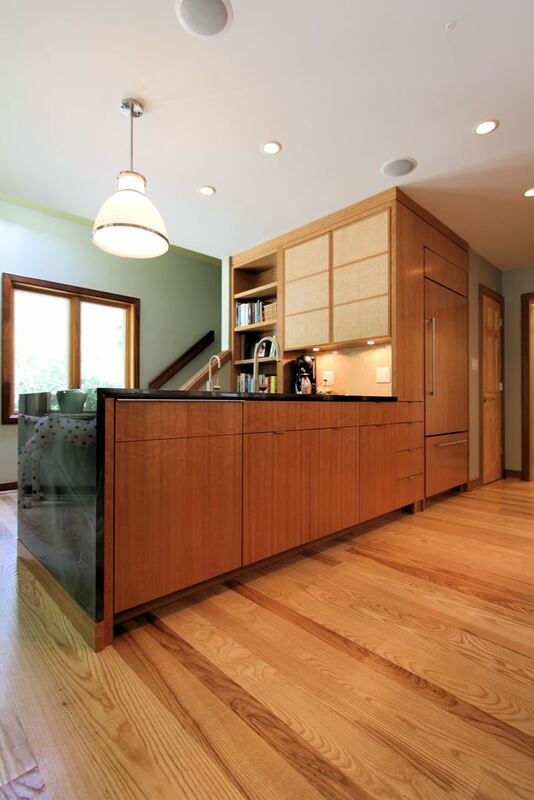 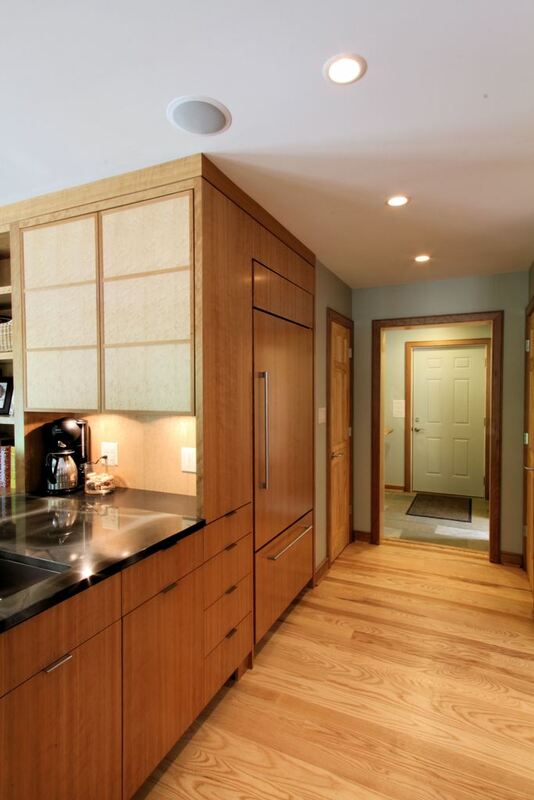 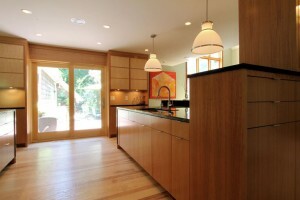 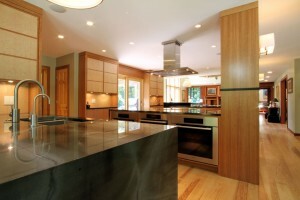 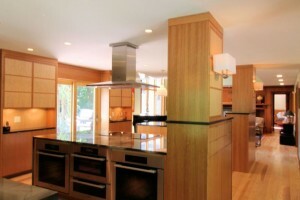 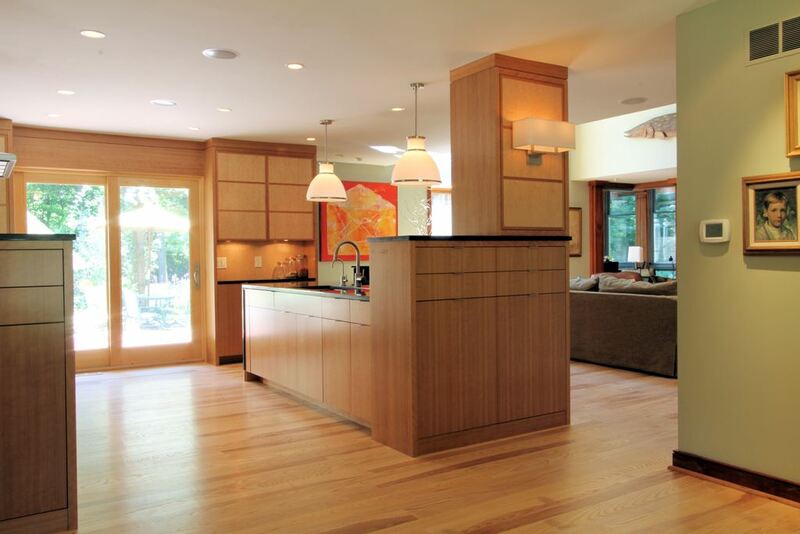 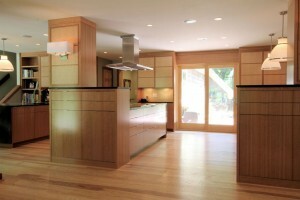 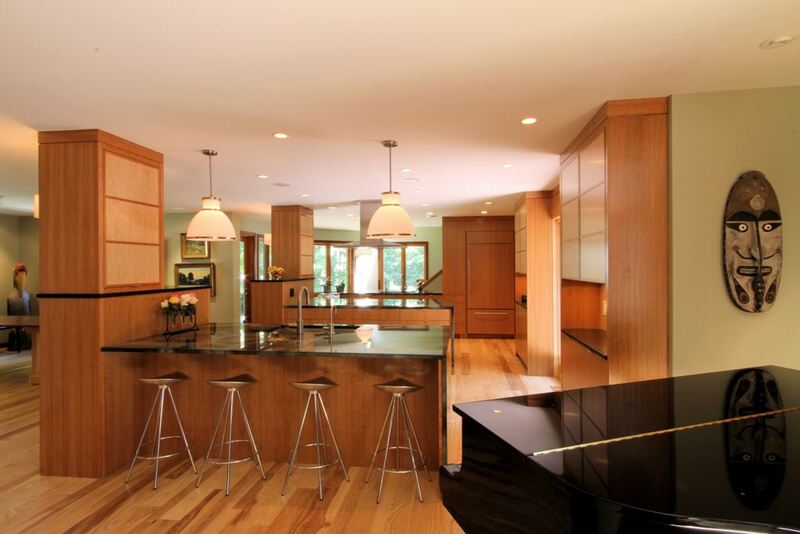 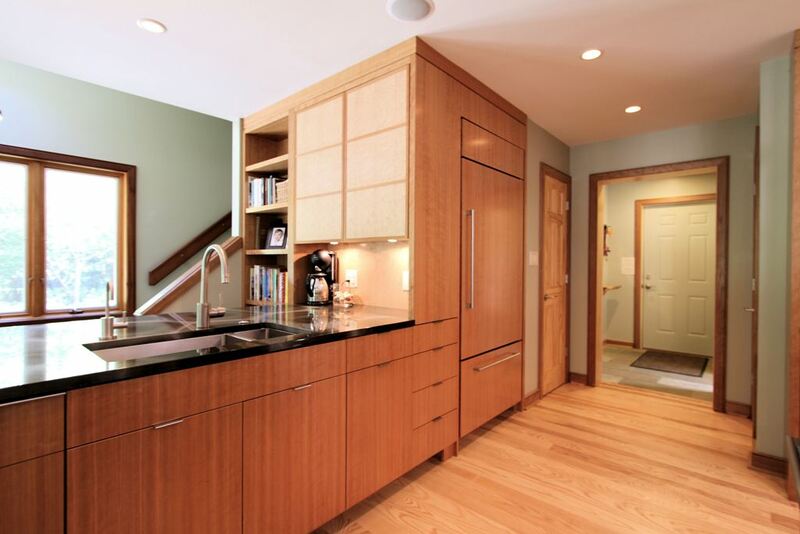 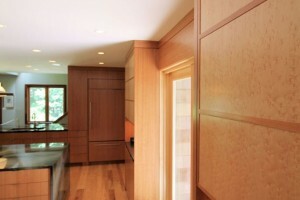 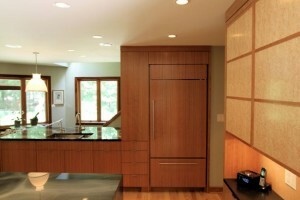 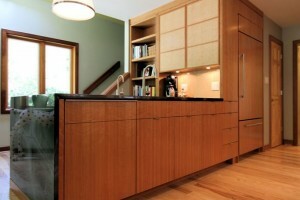 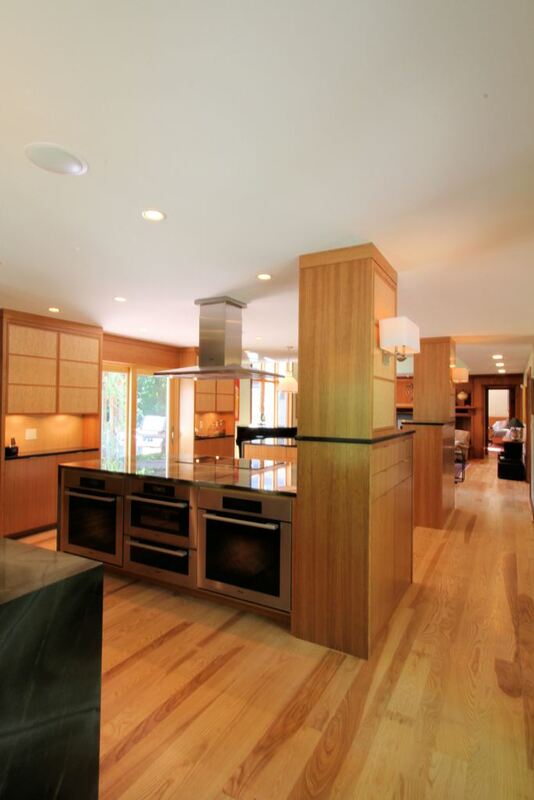 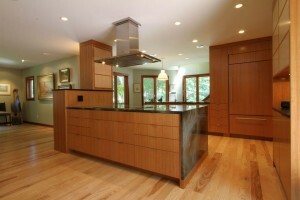 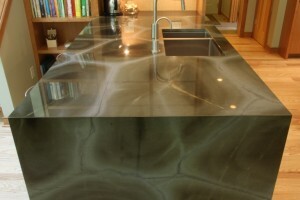 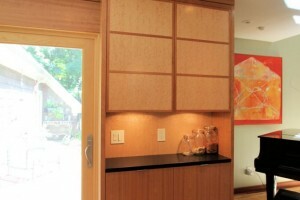 The cabinets were built by artist and craftsman Jason Myers, of Myers Design Inc.